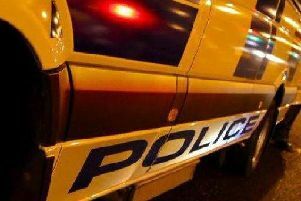 When police searched an address in Gilford they found over 48,000 cigarettes which could not be sold legally in the UK, Banbridge Magistrates Court heard last week. And the person who had the cigarettes has been given a year to pass court tests to avoid a four month prison sentence. Li Chai (39), Dunbarton Street, Gilford, had previously admitted two charges of fraudulent evasion of customs duty on August 4 last year on 41,980 and 6,800 cigarettes. He also admitted dishonestly abstracting electricity on August 4 last year at two premises at Dunbarton Street in Gilford. The court heard that on August 4 police, under warrant, carried out a search of two addresses in Gilford, both linked to the defendant, one was residential and the other commercial. Accompanied by HMRC officers at 7 Dunbarton Street in excess of 41,000 cigarettes were seized. They could not be bought legally in the UK and the loss to the Inland Revenue was £12,090.25. The Royal Mail office was also attended where packages addressed to the defendant were intercepted and they contained cigarettes with a loss to the Inland Revenue of £1,803.66. Chai said that the cigarettes belonged to a female and he was storing them for her. It was also discovered that at 7 Dunbarton Street the electricity meter was being by-passed resulting in a lost to NI Power of £1428.85. At a takeaway business at 22 Dunbarton Street it was again found that the meter had been by-passed resulting in a loss to Energia of 12,810.18 euros. A barrister representing the defendant said that the packages were being sent from China through the post in relatively small amounts. He added that his client was in a relationship with a married lady who has since been deported.The lawyer explained that Chai had just been a facilitator and the woman’s husband was coming over to distribute the cigarettes. Outlining the defendant’s background he said Chai had claimed asylum in 2000 in London and since resided in Northern Ireland. He had worked as a manager at the takeaway which had since changed hands and he was now working as a chef. The lawyer said that there was a cash forfeiture application currently in the Craigavon court. District Judge Liam McNally said this was a serious case because of the large amounts involved. For each of the abstracting electricity offences as an alternative to a prison sentence he imposed 200 hours community service. He also ordered Chai to pay £5,000 compensation - £1,000 to Power Ni and £4,000 to Energia. For the evasion of duty offences he imposed four months in prison on each charge. But he deferred sentence for a year until October 12, 2017.Judge McNally said that during that time he wanted to see the community service order completed without a problem and the compensation paid. He told Chai that if he did not pass these tests he would go to prison for four months but if he did the sentence would be suspended.